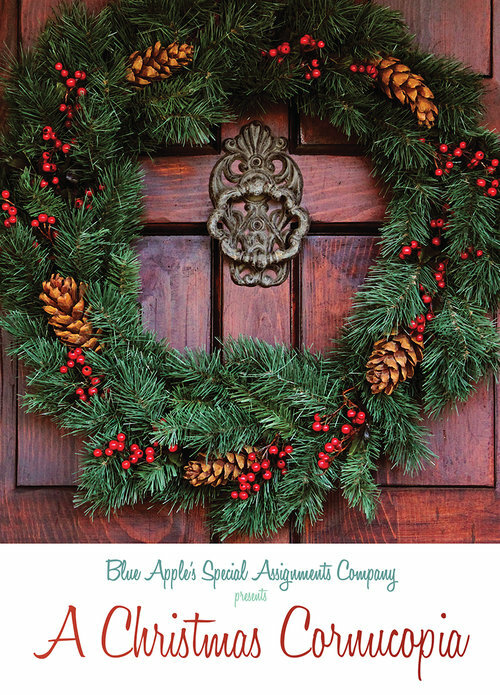 Blue Apple’s ‘Special Assignment Company’ proudly present an abundant and lavish array of Christmas tales, songs and poems. Originally produced as part of the first ever Woolly Hat Fair, in the historic and atmospheric P&G Wells bookshop, the company was unable to resist the opportunity to be part of Blue Apple’s Christmas celebrations. Expect the unexpected and Merry Christmas! With thanks to: Michelle Walker and all at Woolly Hat Fair; Crispin Drummond, David Simpkin and all the staff of P&G Wells; Louise Kerr, Winchester College wardrobe; Heather Smart, Cornflowers Gift Shop; Phil Stanier & University of Winchester Performing Arts Dept. ; Katie Appleford.